I missed this. I completely and utterly missed it. Anna is a more active child than Helen was ��� she was crawling at five months and has been on the move ever since. When she didn't want to learn to read at the same age, I put it down to this ceaseless energy. She's not ready to sit still. We went through the entire Teach Your Child to Read book, all one hundred lessons, but she still couldn't read, whereas Helen was ready to move straight into books and was reading at a second grade level after six months of reading instruction, just as it promised on the blurb on the back of the book. With Anna, we had a few months off during charter season, and by the time we started reading lessons again, she'd forgotten everything. When Helen was that stage, I'd feared a big "summer vacation loss" but it didn't happen. She was able to take time off and come back nearly at the same level. Not so with Anna. I turned back to lesson 65 and restarted. This time we made better progress, but she was still not ready for books. For nearly a year afterward reading lessons had to be explicit and tutored. She read aloud, page after page, day after day from the Spectrum series of books, with me helping her read every word on the page. With Helen, I just left her alone with a stack of books. When we finished with the Spectrum Grade 2 books (and Anna was fed up with the content), I started her on some more interesting novels, but she still wasn't ready to fly solo. Every word she read for all of first grade was at my side, with me there to help her sound out each word she had difficulty with. Well, that's it then, she can read. Mission accomplished. But then, I started to work with her on writing and her spelling. Her spelling was a jumble of letters. Often all the correct letters were there, but just in a completely mixed up order. Sometimes her spelling was phonetically correct, but she was unable to go through a piece of her writing and circle the misspellings. Helen, by contrast, had been able to turn her reading ability directly into proofreading ability. When she didn't know how to spell a word, she at least could instantly look at it and recognize that it was wrong. I simply could not understand how Anna's spelling so be so jumbled. I am afraid that my initial reaction was simply that she was lazy and she did not care about her schoolwork, and I drove myself crazy trying to figure out how to make her take more care with it. I set her to studying a highly recommended spelling program, but she even copied down the words wrong when working from the list. I didn't actually figure it out until she was nine. Perhaps if she'd been in a regular school, a good teacher would have noticed it much earlier, but on the other hand, her constant restlessness and clowning around would have just caused her to be labeled as a disruptive child and in some parts of the world, teachers would have suggested Ritalin. My big clue was one afternoon when Hamish's mother was in the hospital. The grandchildren wrote "Get Well" cards, and Anna burst into tears. It was a revelation to me: Anna was sobbing because her six-year-old cousin had tidier handwriting and better spelling. She does care. It had been incredibly easy for me to dismiss her as lazy. I like to think I am a sensitive mother and am in touch with my children, but she'd never mentioned it was difficult for her ��� how could she; she had nothing to compare it with. I went online and searched on dyslexia ��� at one point, I found a checklist of symptoms of dyslexic children. Nearly every item on the list described Anna. I'd been fooled because she could charge through the Lord of the Rings at eight, because she had her nose stuck in a book whenever she had the leisure time. 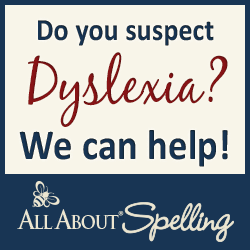 When she was evaluated for dyslexia, the professional educator described her not as dyslexic, but with various difficulties ranging from mild to severe, which explains why she could read so well, yet not be able to copy down a list of spelling words correctly side by side with the original. In 1995, Rosemary Fink studied successful adult dyslexics and noted that they had managed to reach a superior level of fluency and reading skill despite their earlier difficulties. The most important factor in their success was having high interest materials to read. I expected to discover extraordinary bypass and compensation strategies. Presumably continual frustration with basic skills would lead dyslexics to avoid reading. To my surprise, I found that these dyslexics were avid readers. Although they had persistent troubles with basic, lower level skills (letter and word recognition and phonics), they rarely circumvented reading. On the contrary, they sought out books; they did not bypass reading in order to learn. Although each of the individuals had a 3-4 year delay in reaching ���fluency,��� due to their difficulties with basic decoding skills, she notes that the successful dyslexics in her study did not seem to need complete mastery in the lower level skills in order to reach reading mastery. These dyslexics' stories revealed a common theme: In childhood, each had a passionate personal interest, a burning desire to know more about a discipline that required reading. Spurred by this passionate interest, all read voraciously, seeking and reading everything they could get their hands on about a single intriguing topic. As with every child, the more children with reading difficulties read, the better they become. A reading program such as the one described by Nancie Atwell in The Reading Zone, based on high volume, high interest reading, is particularly important for students with reading difficulties. If you have any inklings of reading or learning difficulties, don't be afraid to seek help from professionals. It is unlikely to cause problems with your plans to homeschool, as homeschoolers have a very strong track record of successfully teaching students with dyslexia and other difficulties. It's a perfect situation for many children, because they have one-on-one coaching, and the ability to work at different grade levels in different subjects. In fact, many homeschoolers have chosen that route because their children have difficulties. The International Dyslexia Association (http://eida.org/) is an excellent place to begin your research. They publish a series of Fact Sheets which are available for free download, which can help you evaluate your situation and decide whether or not you need to go to outside testing. Understood (https://www.understood.org) is another good place to look for specific help and information. Testing is often available at no cost through local schools, even for homeschooled students. Testing can be helpful because it will provide you with a formal diagnosis, which may be critical in receiving accommodations in future exams, such as the SATs or ACT. However, students who don't meet the criteria for official diagnosis may still benefit from some of the following techniques. In fact, many students who are formally diagnosed with dyslexia do learn to read and write well enough that they no longer qualify for special assistance or programs. Not all students who have difficulties with these skills have dyslexia. 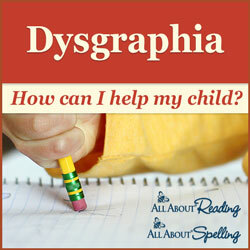 Formal testing of reading, language, and writing skills is the only way to confirm a diagnosis of suspected dyslexia. In addition to these warning signs, I found the most significant one in Anna's case was an inconsistency in her abilities. In some subjects and techniques she was years ahead of expected "grade level," yet her reading was a year or so behind for several years, and her handwriting and spelling remained consistently behind. In mathematics, she was two years ahead of grade level, as long as she didn't need to copy out the problems into a notebook. Even when her fiction and non-fiction reading comprehension jumped ahead of grade level, her ability to solve word problems lagged several years behind the rest of her mathematics. These inconsistencies were an important clue (and should have been a red flag that she wasn't being lazy!). Looking at her academic performance as a whole made it evident that there were problems, even though she fit the range of "normal" in each individual area. The International Dyslexic Association points to the importance of using "Structured Literacy" (this means methodical, direct instructions in phonics) for dyslexic students, rather than using "whole language," "sight reading," or simply hoping they will pick up reading on their own. The book we used, Teach Your Child to Read in 100 Easy Lessons can work for mildly dyslexic students, but may not be enough. All About Reading is highly recommended for any child, and may work when Teach Your Child to Read in 100 Easy Lessons does not. If I were starting over with a child like Anna, I would still begin with Teach Your Child to Read as it's only about $14 for a complete reading instruction package. However, if this isn't working, the next investment I'd make is All About Reading -- the entire package of five levels, with accompanying books, readers, workbooks, and an interactive kit is $541.60. (Most of it is re-usable if you are teaching a second or third child a few years later; if you are teaching two at the same time, you will need a second student kit.) It sounds like a very steep price, but it is considerably less expensive than professional assistance, where a simple evaluation can run over $1000. It's important to remember that both these programs will work fine with non-dyslexic children -- you're not going to do any damage by using either of them, as long as you're sensitive to your students' understandings. If they seem to be getting everything effortlessly, you can speed up a bit. If they're struggling, slow down. Above all, keep reading instruction as brief and as lighthearted as you can, and continue reading aloud to your children every day, so they remember what a gift reading will be when they eventually understand it. 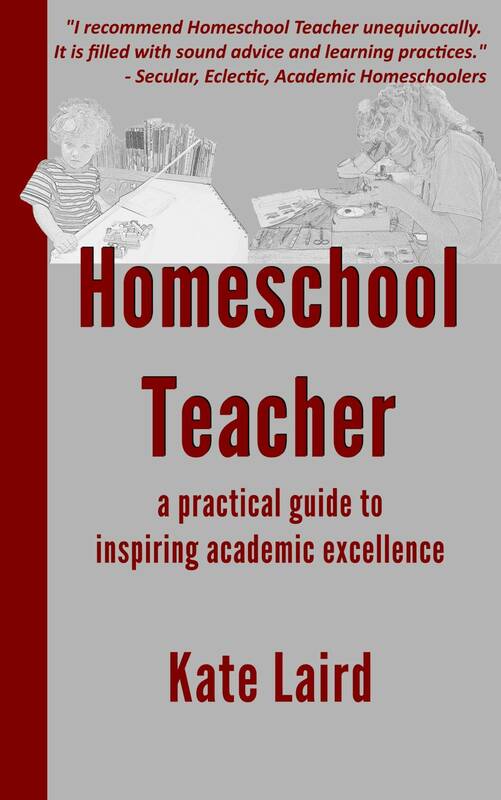 As discussed in the last chapter, homeschooling with direct instruction is not as deadly to reading enjoyment as it can be in whole-class instruction, because students can work at their own pace. If neither program is working for your child, and he has reached age eight or nine without making progress in independent reading, it is worth seeking some outside help, whether you choose to do it privately or through your local public schools. For students who are formally diagnosed with dyslexia, Nancie Atwell in The Reading Zone particularly recommends the US National Library Service for the Blind and Physically Handicapped talking book program for children who struggle with reading disabilities. These are not simply books on tape: the stories are read, but without special voices, background music or other props, so the students can learn to "connect auditory and visual input, enter the [reading] zone, and, over time, develop sight vocabularies that compensate for reading disabilities." Dyslexic students might want to try one of the two fonts especially developed to helped dyslexics, Dyslexie and Opendyslexic. Dyslexie is free for home use and can be installed across a variety of platforms, and Opendyslexic is free for all uses. While I recommend non-backlit Amazon Kindle e-readers for most students, if you suspect your child is dyslexic, it may be worth trying out these fonts on a computer or tablet. If it seems to help, you may prefer an e-book reader from Kobo which can be programmed to use the Opendyslexic font on all books. Unfortunately, these readers are all backlit, which may interfere with sleep patterns, but should present no problems when used during the daytime. I wish I could offer a solution that would allow simultaneous reading and reading aloud, along with a change of font to Dyslexie or Opendyslexic, but I haven't yet found it. Please if you find an answer. 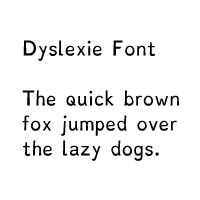 Both the Dyslexie font and Opendyslexic font may be downloaded free of charge to personal computers and used in writing programs such as Word or Open Office, which may help students with proofreading skills. Many dyslexic students will find that they can learn to read standard books and fonts successfully, and learn to cope without the read along versions. If at all possible, you should institute these aids as a help in learning to read, rather than a bypass for reading standard works. You may find older students can read accurately when they're alert, but need more assistance when they're tired, or they may be able to convert to reading standard books all the time after a few years of specialized fonts and read aloud programs. Many dyslexic and dysgraphic students will have a difficult time with both printing and handwriting, and they may eventually find it far easier to type. (Dysgraphic students are those who don't have trouble with "decoding" words on the page, but have great difficult with "encoding" -- in particular, handwriting, spelling, and sometimes grammar.) With Anna, I did not let her type independently until she had reached a fourth grade spelling level, because I didn't want her to train her fingers to type misspellings. With help from All About Spelling, she reached this level in the sixth grade and began to write all her papers on the computer. I will discuss this further in the Writing Skills chapter. Once students are ready to begin typing, it is possible to buy complete computer packages to help dyslexic students write accurately, but there are free work arounds which can help all but the most severely affected students. For example, I've paired the Dyslexie font with the OpenOffice word processing program to make proofreading easier. In OpenOffice, it is possible to convert document files into pdf documents, which then can be opened in Adobe Acrobat. The newest versions of the free Adobe Reader have a "read aloud" option, which is quite good, if slightly robotic. For older students proofreading their writing, it can be very helpful to have Adobe Acrobat reading the work aloud in a minimized file, while the student reads along in OpenOffice (or on a print out), making corrections. Each element is free for home use, in contrast to $800 or more for a complete dyslexic writing suite. Homophones are words that sound the same but are spelled differently. These are often a real difficulty for dyslexic students who mistake its, it's, their, there, and so on. Because the alternatives are real words, the spell-check on a computer will not flag them. The easiest option is to do a final proofread online with the Homophone Check website allows you to paste in a text and it will highlight all the frequently mistaken homophones and give guidance on which to choose. (As a bonus, if you have selected Dyslexie or Opendyslexic as your default browser font, the Homophone Check will show the text in that font.) Since we often do not have internet access, I wrote an OpenOffice macro for Anna to highlight her most often confused words. You can edit the list to target your student's problem words. Dragon Naturally Speaking can also be helpful for dyslexic or dysgraphic students. This will work better for older students who have substantial number of papers in computer files already, which helps the Dragon learn the student's writing style. If these free or relatively inexpensive solutions are not working, you may find that there is funding available through your local public schools to try one of the comprehensive computer packages. In the US, this should be available to you even if you have opted to take your child out of the public school system. 1. Rosemary Fink. "Successful dyslexics: A constructivist study of passionate interest reading." Journal of Adolescent & Adult Literacy. Dec 1995; 39, 4; ProQuest p. 268. 7. Nancie Atwell. The Reading Zone: How to Help Kids Become Skilled, Passionate, Habitual Critical Readers. New York: Scholastic Inc., 2007. Kindle location 710. 8.Anne-Marie Chang, Daniel Aeschbach, Jeanne F. Duffy, and Charles A. Czeislera. "Evening use of light-emitting eReaders negatively affects sleep, circadian timing, and next-morning alertness." PNAS. Vol. 112, No. 4. Proceedings of the National Academy of Sciences of the United States of America. 27 Jan 2015. http://www.pnas.org/content/112/4/1232.full.pdf [retrieved 13 Dec 2015].